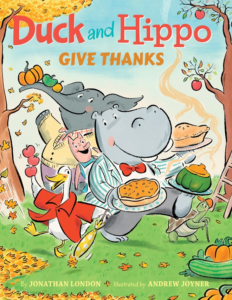 Duck and Hippo Give Thanks is a great book, and my 7 year old loves it. 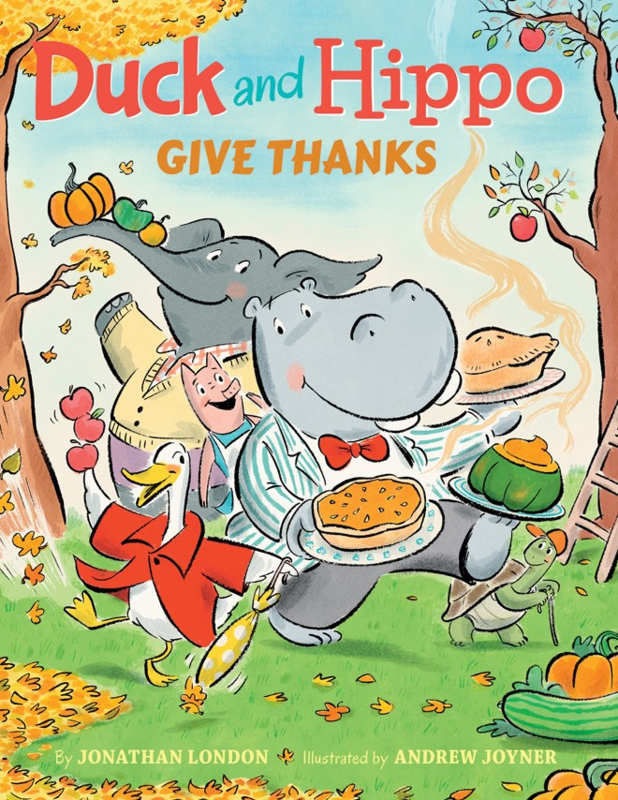 With Thanksgiving just around the corner, I thought this would be the perfect book for bedtime, last night. Jacob listened to the tale, and really got it. I was so excited when he started asking me questions, about what I had just read. 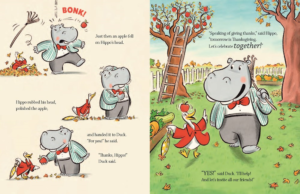 Jonathan London is an excellent writer, and he got this book perfectly right! 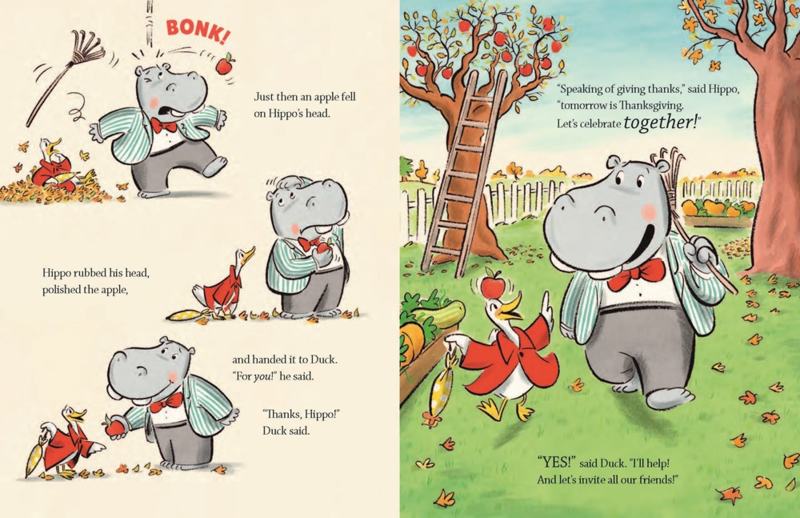 Duck and Hippo Give Thanks has a lot of illustrations by Andrew Joyner, and they are so colorful, and made Jacob really look twice, we discussed the pictures, as well. He really enjoyed the book, and asked if we could read it again tonight. I told him, “Of course, but this time you will read it to Mommy”, and he agreed. I’m trying to help him read, so what better way, than to have him read this wonderful book to me? I can’t wait, to be honest! Duck on a Disco Ball was our last tour stop, and you can read that review here, then enter the Giveaway here.